At Drs. Beck and Rogers’ office you hear us speaking, nagging and pleading (I personally call it motivational speaking) to look into investing in a Sonicare toothbrush. Trust me, we have many other thing we would like to talk about i.e. ourselves, Juan Pablo, etc. 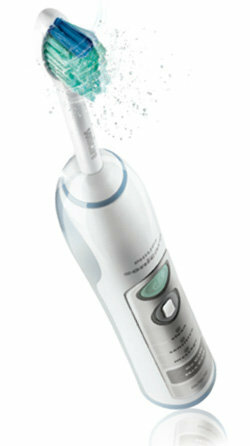 Sonicare is a leader when it comes to oral health and managing plaque control. Good home care helps lower the incidence of caries, gingivitis and periodontal disease as well as making your prophy appointment easier.